– There are many reported health benefits of gingko biloba use. Ginkgo biloba is thought to improve many serious health conditions, such as Alzheimer’s, heart disease, infertility in males, psoriasis, and eye and ear disorders. – Ginkgo biloba benefits related to mental function include improvements in mental clarity, memory, mood and concentration. – It is possible that metabolism and circulation are also improved by the use of prescribed ginkgo biloba patches. – Although there are many claims as to the benefits of ginkgo biloba use, these claims are still under scientific investigation and are not backed by the FDA, so you can’t know for sure that your ginkgo therapy is necessary or effective. 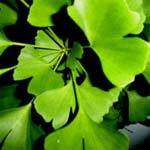 – Ginkgo biloba side effects include mood swings, vomiting, dizziness, diarrhea and indigestion. – Due to multiple reports of bleeding, you should not use any type of gingko biloba product, including the patch and ginkgo biloba tea, if you have a bleeding or clotting disorder, or if you plan on having surgery or dental work in the near future. If you are interested in the many apparent health benefits of gingko biloba, then you should ask your doctor about ginkgo biloba patches. Just keep in mind that gingko biloba use has its pros and cons and that introducing any supplement into your daily routine is not a decision to be taken lightly.